They were the rail version of UPS, although there was no connection in the companies. Every summer when we went away to "sleep-away camp" for 2 months the Railway Express shipped up our trunks. 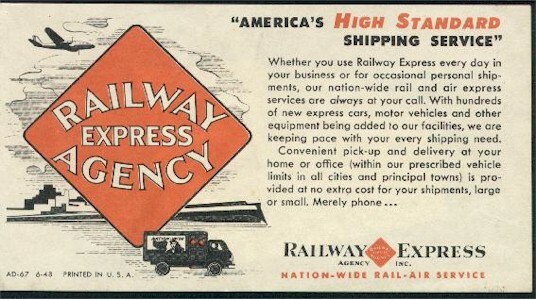 As I remember the Railway Express delivery trucks, each were billboarded for several years with ads for Camel cigarettes.